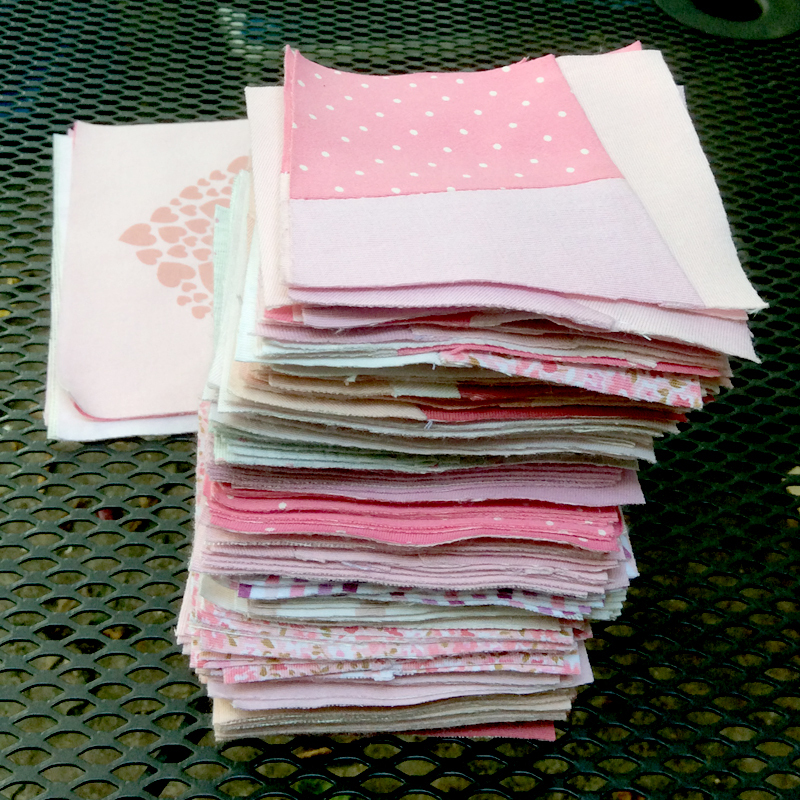 I decided to create a memory quilt using some of my daughter's outgrown t-shirts. As you can see, she really loves pink. 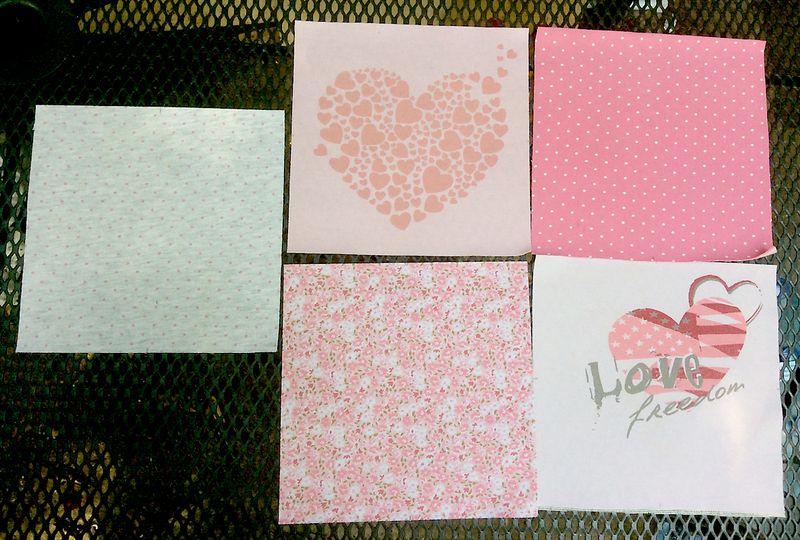 All shades of pink. First I cut each shirt and then stabilized with clothing interfacing to stabilize the stretchy material and to keep its shape while cutting and sewing but maintain softness. 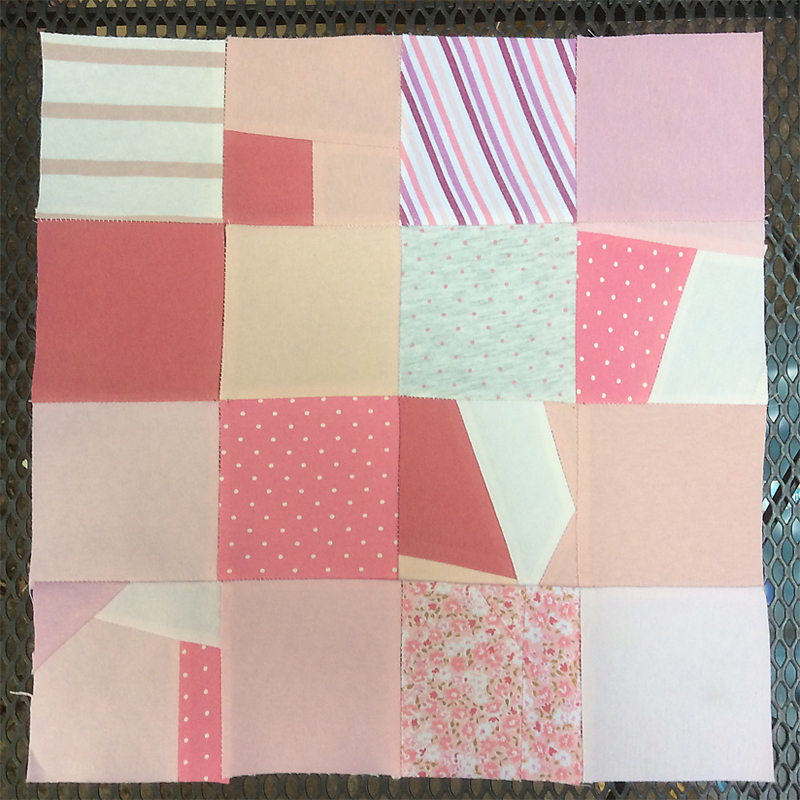 Then I choose five larger special element measuring 20 by 20 cm and lots of smaller squares 10 by 10 cm. 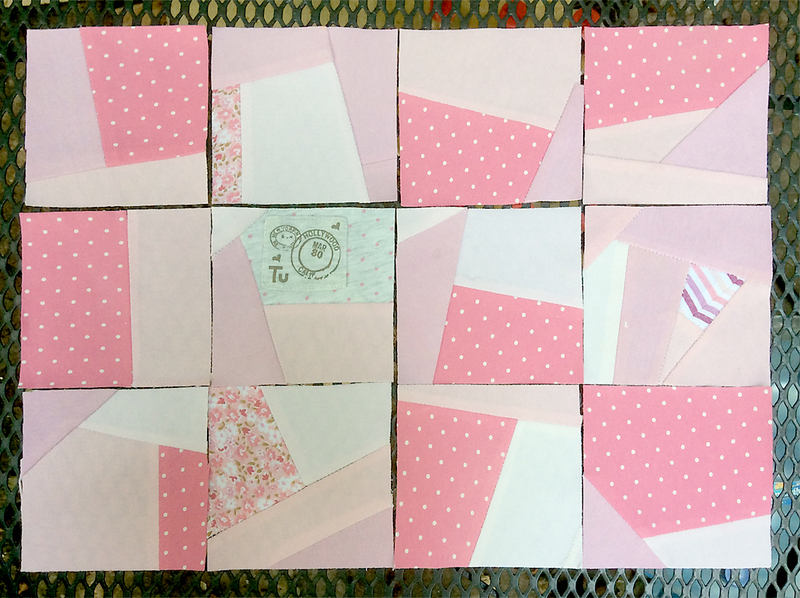 Also made a number of small squares from scraps to make a more complex desing. What a neat idea! She will love this quilt! Lovely start; good luck with the rest. Your blocks are beautiful. I love all the pinks together. What a sweet quilt. Your daughter will love it! What a wonderful memory you will both enjoy when this lovely project is complete! This is going to be so pretty, and mean so much to your daughter! Love how you changed it and made it so much more creative. She's going to love it. Thanks for linking to WIPs Be Gone. Pretty and pink, that's for sure! I have seen this done and they really are fun. My sis even made one out of my mothers pants. She used the legs and cut long strips. It's a wonderful remembrance of our sweet mom! Thanks for sharing with SYC. 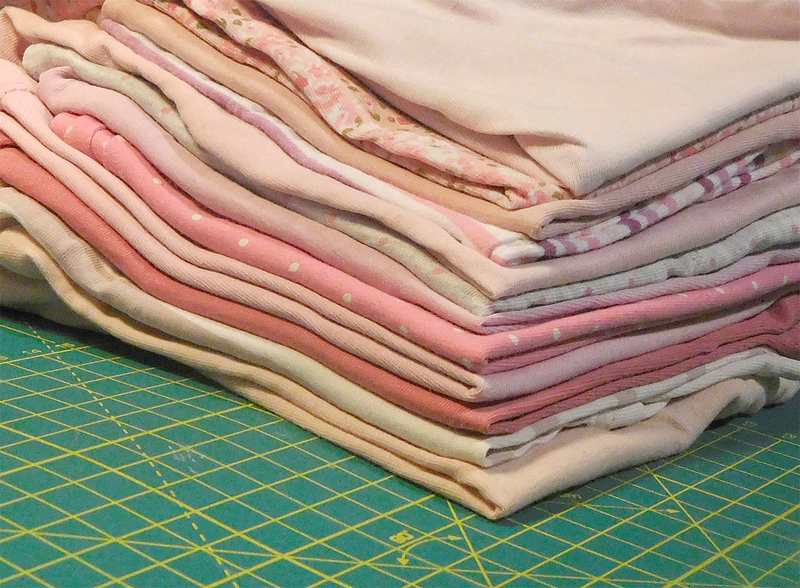 Such a soft and lovely quilt! I like how you added in your own blocks to add a bit of pop! 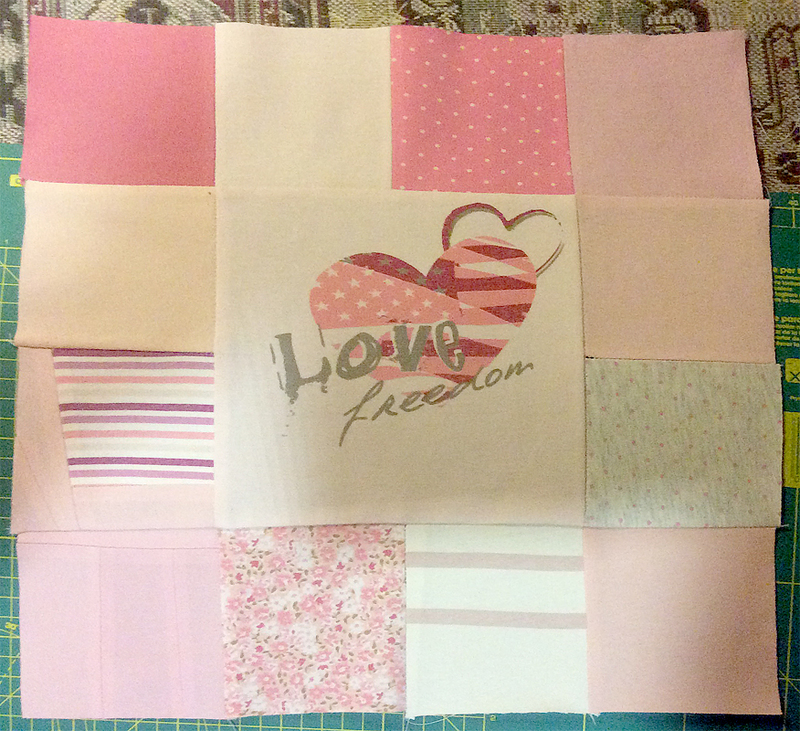 I popped over here for FNSI - but this is a great idea for a memory quilt. It will be a beautiful memory quilt.